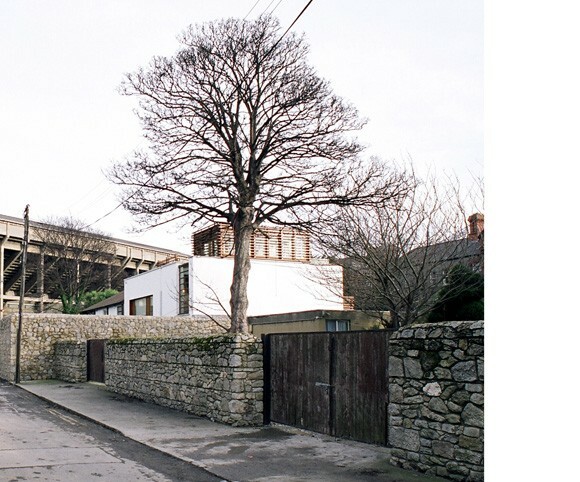 Lansdowne Lane is a nondescript mews lane with little character, located adjacent to a secondary entrance to Lansdowne Rugby grounds and to the rear of period houses on Lansdowne Road. 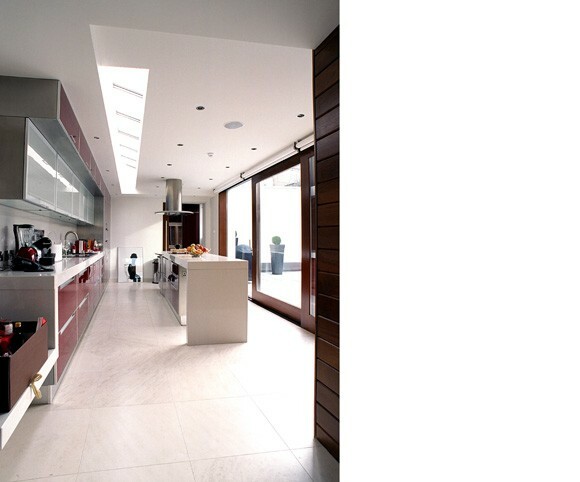 Our Client’s brief required that we design a contemporary house. We created an oasis which would enhance a life style. 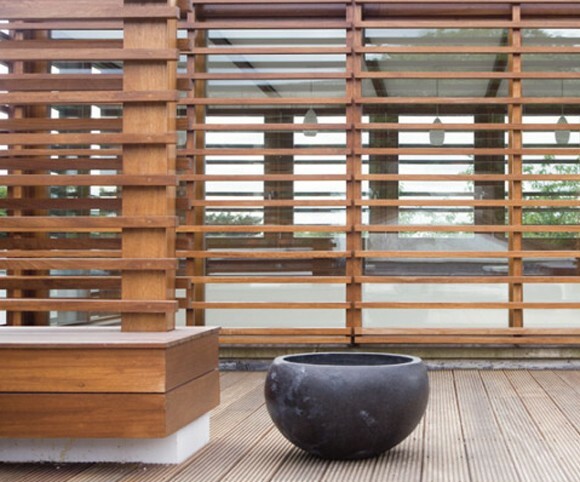 Our house explores several ideas of enclosure, transparency, light, flexibility and materiality. The house presents a strong stone wall to the public street which forms an edge to the entrance courtyard. 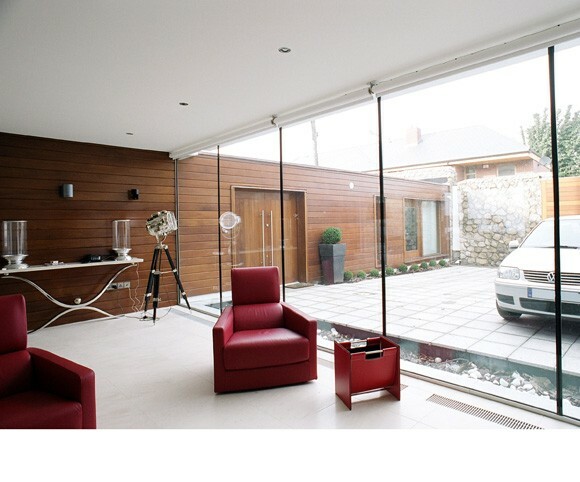 The living room is a glass box which links the diagonally opposed courtyards. 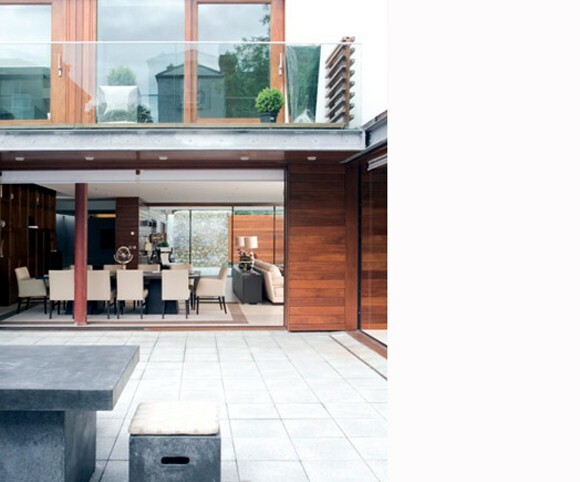 Frameless glazing to the front accentuate the open link to the entrance, whilst the edges to the rear courtyard are moving glass screens allowing internal spaces to spill to the outside and vice versa. Perimeter roof lights in the single storey wings catch the moving sun whilst also bringing sunlight deep into the building. 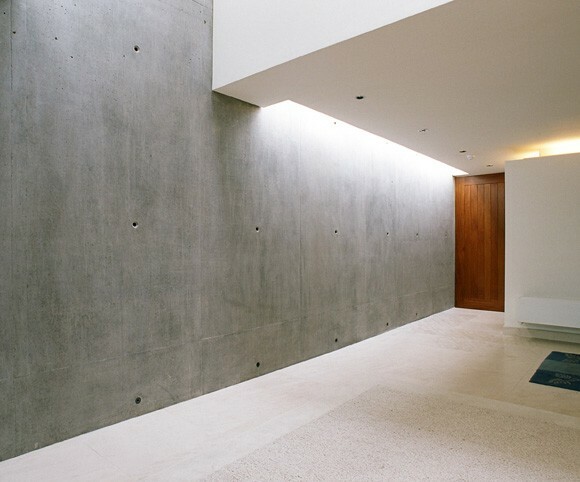 The house is linked vertically by a beautiful top light three storey high concrete wall in the stairwell. The stairs floats adjacent to the wall but never touches it. 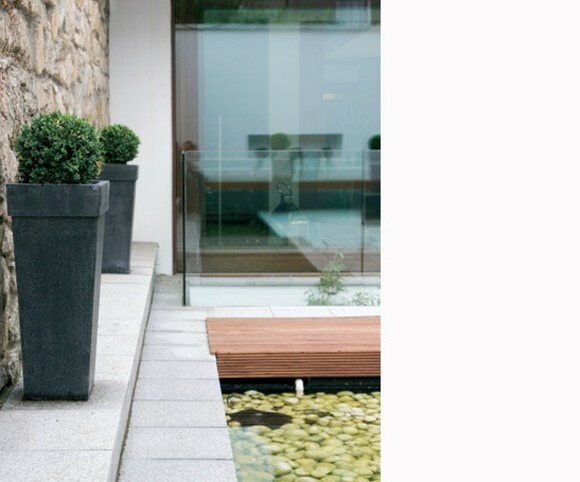 The roof garden provides further open space rarely found within urban areas. 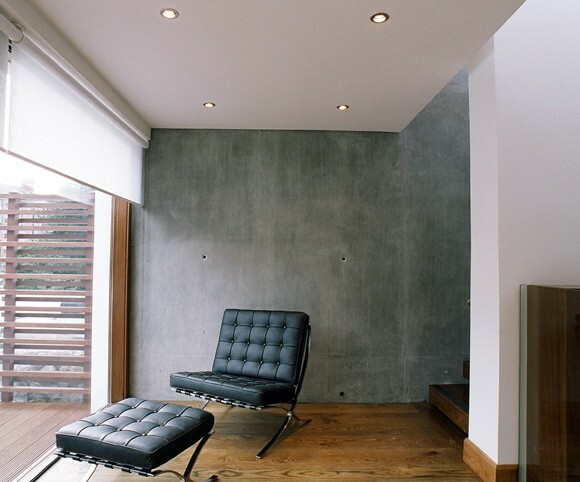 Materials are a limited palette of concrete, hardwood, glass and white walls.